Slapfish is committed to conserving the balance of the marine ecosystem. 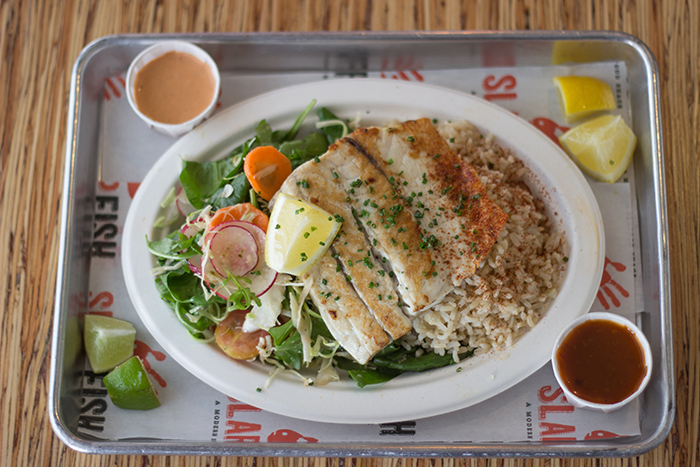 Fast casual consumers are seeking out healthier options, and seafood is at the top of the menu. › View the CBSLA news segment "Sustainability, Label-Reading Keys To Avoiding Toxic Fish" with Chef Andrew Gruel. › Read the science behind the seafood health facts above at the Seafood Nutrition Partnership. Working to conserve our ocean and the environment. The owners of Slapfish are ocean lovers who are committed to conserving the balance of the marine ecosystem. Slapfish has partnered with the Aquarium of the Pacific in Long Beach, CA and Seafood for the Future, to ensure the brand is utilizing current data on over-fishing, harmful fishing practices and responsible fish-farming. 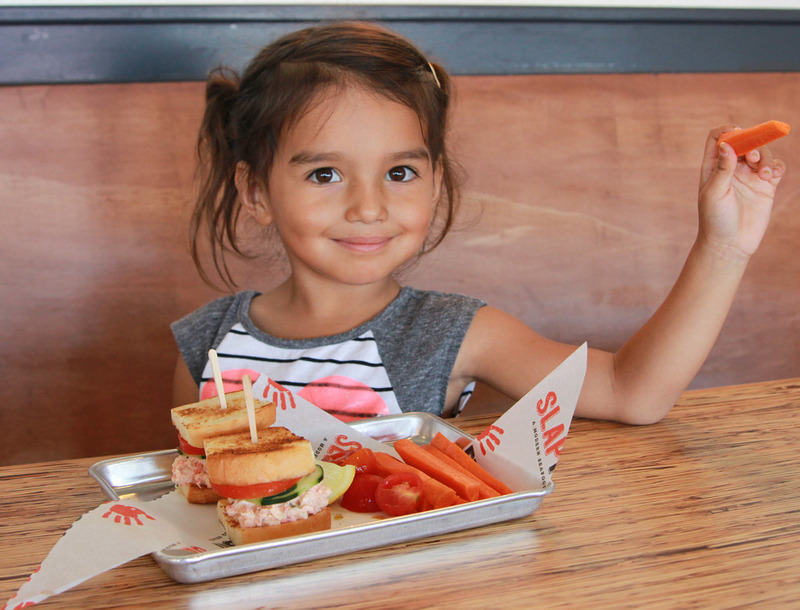 The Slapfish menu is reviewed by a team of experts and scientists in conservation and marine biology at the Aquarium of the Pacific’s sustainable seafood program, Seafood for the Future. Slapfish also uses FishWatch, a program maintained by NOAA Fisheries, the leading science authority for managing the nation’s marine fisheries, FishWatch provides easy-to-understand science-based facts to help consumers make smart sustainable seafood choices. We believe in taking wisely from the ocean. Our takeout containers and napkins are biodegradable, and we utilize resource conservation within our restaurants whenever possible.